This month our crafty caper is a vase reverse-painted with a pretty bunch of tulips. It’s perfect for our coming spring—imagine how nice it will look holding a bunch of real fresh tulips. 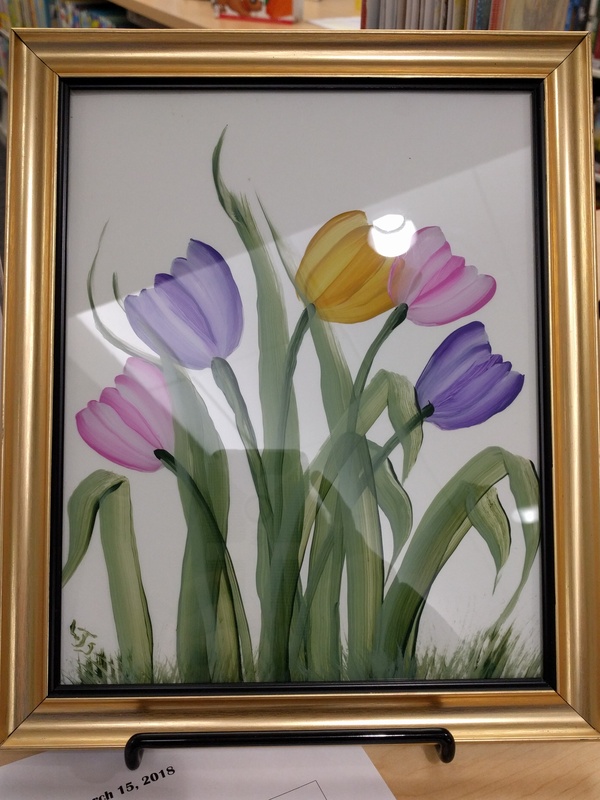 You don’t need to have any painting experience; we’ll walk you through the process so you’ll end up producing a final product that looks professional, for yourself or to give as a gift. There is a small fee for materials, and you’ll need to register ahead of time, by signing up at the library or calling at 315-986-5932. Don’t hesitate: the class will fill up quickly! Next Friends of the MPL Mtg.